On my recent trip to the Seattle area, I stayed in Redmond with my old college buddy Jesus, who's on a job there for a few months. The suburbs don't hold the same charm as other Seattle neighborhoods, but that doesn't mean good beer isn't to be had. Northwest brewing pioneer Mac and Jacks is located in Redmond, as is the up-and-coming Black Raven Brewing. The weather was nice, so on Saturday evening we walked about a mile from Jesus' apartment to the Black Raven tasting room to check out the beers there. From the outside, you wonder why you came to a nondescript office park in search of a beer. Inside, however, the atmosphere is very relaxing: soft, warm lighting, lots of wood and stone, a couple of bars and lots of tables spread through a few small rooms. There's no kitchen: bring your own food or have pizza delivered from a joint nearby. They also served free bowls of peanuts in the shell -- I like the way Washington tasting rooms give you some free bar snacks. The place was full right up until closing time, but not overcrowded. They were playing good reggae at a conversational level on the stereo all night -- more Burning Spear and Culture than Bob Marley -- which suited me very fine, though one of the bartenders conceded he gets a little tired of it. 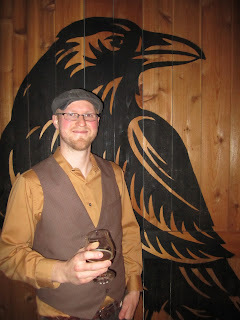 While we were enjoying our Black Raven brews, one of the brewers -- the dapper Keil Anderson (in the photo) -- was showing a couple of his friends the brewhouse and barrel room. I insinuated myself into the field trip, and was impressed with the various barrel experiments they have going on. They even had a fermenter stewing away with some brettanomyces. Since I was still in the throes of fresh hop mania, I was disappointed to hear that Black Raven wasn't able to do a fresh hop beer this year: the grower they planned to get the green hops from brought his crops in early, but neglected to tell the brewery about it in time to get them into the planned brew. Over a couple hours Jesus and I ran through everything Black Raven had on tap that night -- from memory (since I foolishly forgot to photograph the chalkboard or write anything down) an IPA, a pale, a brown porter, a stout, a barleywine, a scotch ale, and a black lager. Our favorite of the evening was the scotch ale: hearty without being too sweet, and just a little smoky. The barleywine was an excellent nightcap, the porter was very quaffable, and everything else we tried was well done, though the nitro stout I started out with was a little forgettable. The tasting room is open most days 3 PM to 10 PM, opening at noon on Friday, Saturday, and Sunday. 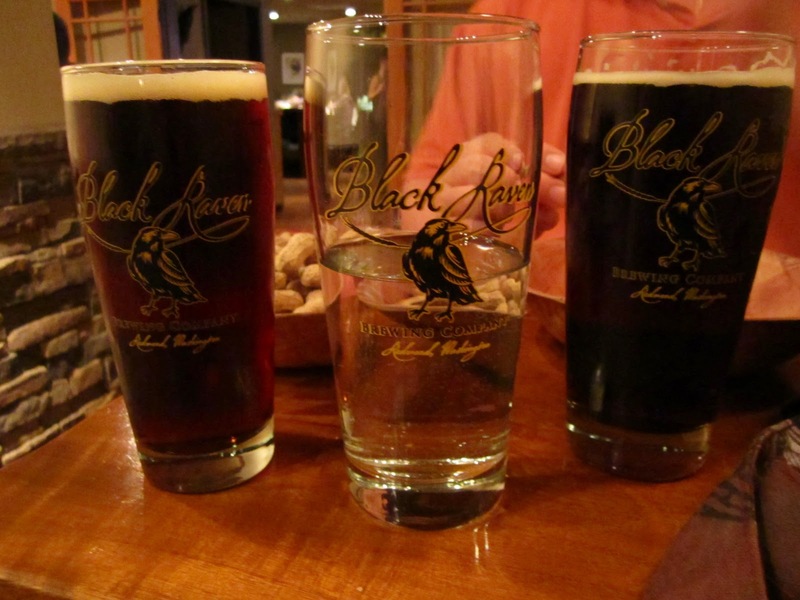 Keep an eye on Black Raven: they've only been brewing for a couple years, but they're a big hit in Seattle right now and they're looking to grow. Further reading: this month's Northwest Brewing News has an article on Black Raven. I went up to visit Black Raven this summer. I really enjoyed my visit there. All of the beers were very tasty, but much like yourself the real stand out was the Scotch Ale. It's not one of my favorite styles, but this one was a total home run in my book.